In recent years, scientists have found alternative ways in order to produce DNA identical to he human's one or any other type of gene. 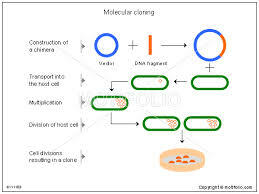 Topping their list are cloning and genetic engineering with which they create new DNA scaffolds. Albeit startling evidence has come to light indicating that these ways are efficient, the question that arises is: Are cloning and genetic engineering a blessing or a curse? As I see it, it is an undisputed fact that their impact is detrimental. There are many reasons why cloned and genetic engineered products should be abolished. First and foremost, although we surely live in a democracy, it is not guaranteed that it will exist perpetually. That is, if it gives way to oppressive regimes, speculative elite will make ample use of this sophisticated technological evolution in order to dominate. Apart from that, since crime rates are estimated to escalate in the future, criminals will be provided with the opportunity to commit "identity theft". More specifically, if science offers such a patent to mankind, individuals might create cloned human beings and commence pretending to be anyone they wish. However, this policy violates every person's basic right to dignity and privacy. Last but not last, by creating a new forms of life in this specific way, many perils are unearthed, which concern not only the newly born beings, but they also pose a threat to the scientists who forge them. Focusing on a different perspective, despite the fact that advocates of cloning and genetic engineering concede that mistakes will be made, they insist that those sort of generations will be far and way an asset. Firstly, more plants and animals will be generated, so agriculture and farming are in favor of it, since no animal will be executed and consumed by us. Therefore, hunger and famine, which pose and are anticipated to pose some of the most pressing issues, will be diminished. What seems to be erroneous about these arguments, though, is that tampering with nature and God is abnormal and unethical on the grounds that we only constitute creations of the Lord and we are not destined to upstage Him, even though technology and science remarkably evolve and offer us this advantage. 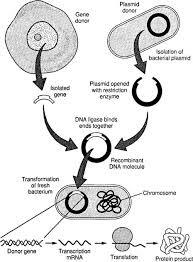 Taking all this into consideration, there is no doubt in my mind that cloned and genetically engineered DNA have many knock-on effects. Only if we refrain from utilizing them, will the shape of things to come be positive, without taking mankind into the realms that belong to God, and to God alone.